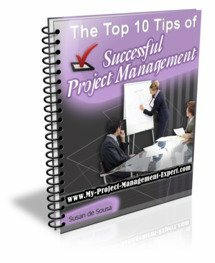 Many new project managers simply cannot wait to open up Microsoft Project and start creating a project plan. However the reality is that much like Asian cooking, preparation is key. After all there are a great many things to consider before starting to create a project plan. Firstly you need to be clear what exactly you are planning for. This may appear a simple question to answer, but you would be surprised how many project manager's simply don't know. Often they go off creating complicated plans simply because that is the thing they think they are supposed to do. 1. You are creating a plan because you need to know what tasks are required to deliver the project, how long these are going to take and what resources will be required. This is the usual reason why plans are created and are at the core of project management. 2. You are creating a plan to demonstrate to senior management and project stakeholders how you expect the project to be delivered. This is often vital to ensure support and approval for your approach. Further this can be used to illustrate risks and issues to those when escalation is required and can act as an external communications vehicle. 3. You are creating a plan to ensure that those resources working on the project can be allocated work, and also understand the "big picture" the project is delivering and how they fit into it. So basically this plan is similar to a project team communication and work management vehicle. It ensures that resources are allocated to the right tasks and that they are not over-allocated rather then concentrating on timings. Now just to emphasise if you need have a plan which covers all the three areas listed above, then you don't need to create three separate plans. You can create just the one plan, you just need to be aware of the three different audiences the plan will need to communicate to. What you need to ensure is that when you are creating a plan you ensure that it is multipurpose. So for example it can be used to demonstrate a simple high level milestone chart to say a Project Sponsor, or be separately utilised to allow a project resource to see the tasks allocated to them. Now this can all seem particularly complicated when you are just starting to learn how to create a plan. However keep reading onto Creating a Plan 2/2 and all will become clearer. No matter how complicated the project is, the simplest plans are always the best. So bear this in mind when you are doing the prep work and research prior to creating a plan.